Sasara Kusugawa is one school year older than the protagonist and the student council vice-president and later the president. She has a cold demeanor and strict attitude and as a result, her only friend is Marianne. When it is time for Marianne to graduate, Sasara is saddened because her only friend would be leaving her and even tries to convince Marianne not to graduate. 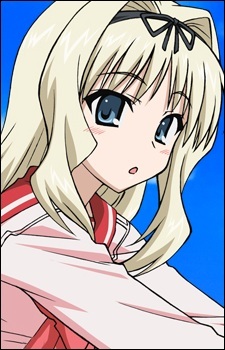 Takaaki becomes acquainted with her after he is chosen to be a volunteer to help the student council with an event, but when Sasara becomes president, she appoints him as vice-president.